Blogging in the Year of Mercy - you probably think this post is about you, don't you? A couple of years ago, I wrote a blog post about homeschooling high school - more specifically about what parents should consider before they put their home-schooled high school students into regular high school. I wrote it to blow of a little steam and to organize my own thoughts. Unfortunately, that post was picked up by a couple of mothers of very small children with special needs issues who needed the services of the local public school system. These ladies were not even close to my intended audience, but my post hurt their feelings and gave them a lot of anger towards me. And I gotta admit, it hurt to be told my post was full of lies, half-truths and scare tactics or that I was misguided. As the barrage of name calling and hurtful comments flew in my direction, I remember thinking to myself, "What did I do?" Was I a mastermind behind an evil plot to mislead everyone into homeschooling their children? Of course not. But that incident made me pull in my posting a little closer, and reveal not as much, and not be as real on this blog as I would have liked to be. Of course, I had already pulled in quite a bit because of some of the comments I had gotten for other things over the years. See my sidebar under "Cheers and Jeers" for some examples of that. I’m even a fan of tact and sensitivity. But I’m not interested in lambasting writers because someone outside of the intended audience of their post might feel bad about the topic discussed.The complaint I’m seeing lately is not, “what this writer says is untrue.” Or, “The argument is poor, here’s where they went wrong and why I completely disagree.” Nope. What I’m seeing all over the place is, “Why didn’t the writer realize writing about this would make me feel bad? Why didn’t they have me in mind?” As if it’s our right to be protected from any ideas that might, shudder to think, make us feel bad. I understand that sometimes reading something we disagree with can provoke a visceral response. This week I read a posting by a mom who was thankful for her five cesareans and that her babies were all delivered safely. My first thought was, to type out a comment about VBACs and the benefits of natural childbirth - but she wasn't writing about that. In fact, she admitted that she hadn't done all of the homework she should have before her first baby was born (neither did I). She was trying to making a comparison between a total trust and submission to the Cesarean experience and living a life being totally submissive to God... and I get that. So no amount of education or discussion on my part was going to be helpful in getting the point across that she was trying to make. She wasn't trying to take me or my experiences down just because I fought so hard for my VBAC births. So what would be the point of trying to take her down a peg or two, other than to inflate my own ego. Now of course, sometimes someone will post something immoral or add their own twist to the gospel, and that certainly needs to be dealt with. 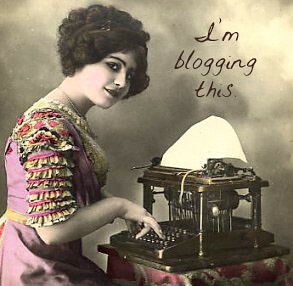 I still believe that whatever is written in the blogosphere or social media is fair game for comment and disagreement. remember the person behind the keyboard, who has feelings and thoughts that are just as vulnerable as our own (and frankly I think writers are even more sensitive than the general population). try to focus on being hard on ideas, but soft on people. 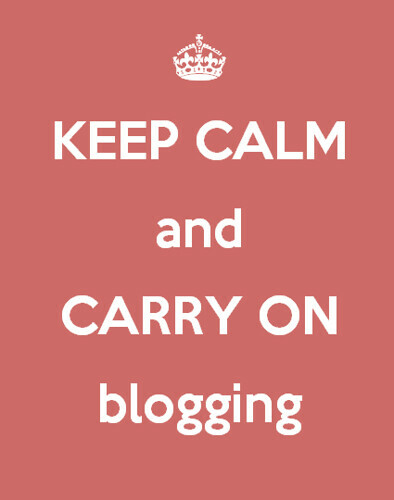 realize that each blogger is in different place in life and experience, and we need to give slack accordingly. I read the article that Haley referred to and noted that it was written by a single woman. If she gets married and is blessed with some little ones, I imagine her perspective will change accordingly. and maybe most importantly, remember that bloggers write about their lives, their feelings, their experiences and their knowledge. While many write to help others in sharing themselves, I don't think that many people sit down to see how many people they can p#@@ off in one blog post. "It's. not. about. me," should be the mantra for this Year of Mercy.